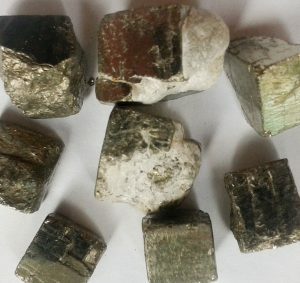 History/Mythology: the name pyrite means ‘fire stone’ and has been used since the Stone Age in order to start fires due to it sparking when struck. As it was considered that the fire it help start ‘lived within’ it was used as a magic stone in amulets. Pyrite is also more commonly know as ‘Fools Gold’ due to is similarity to Gold. Pyrite is considered a stone of protection which is good for travel as it keeps away physical danger. Brings up memories of love and friendship. Helps one to see beyond facades. Enhances memory. Also good for removing your concept of abundance or lack of. Healing – Assists DNA, all disorders of the lungs, reduces fevers and inflammation. 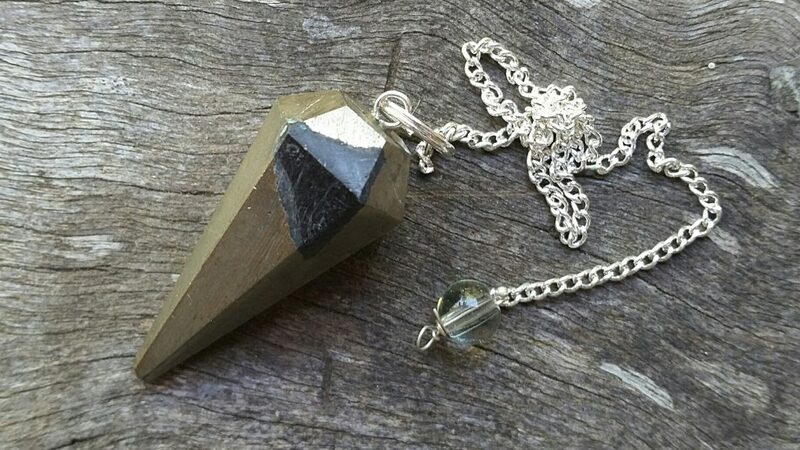 Pyrite can be worn in direct contact with the body in a piece of jewelry particularly as an travel talisman or as a abundance stone.